This basis model measures the usage of an individual appliance. Just plug it into a socket and then plug the appliance you want to test into the meter. The display will tell you how much energy the appliance is using both in terms of kWhs and in terms of pounds and pence. All you need to do to get started is find out what you pay per kWh (kilowatt hour) for electricity, which you can find on your electricity bill, and enter it into the energy meter. You can then either test one “use” of an appliance, such as how much a kettle costs to boil, or test an appliance over a longer period, such as how much your microwave uses while on standby overnight. Testing all of your appliances individually will help you build up a picture of how you use electricity and where it is being wasted. You can buy the Ecosaver Energy Meter for just £11.29 here. “Think pink, go green”. That’s the motto of this next home energy monitor from OWL. 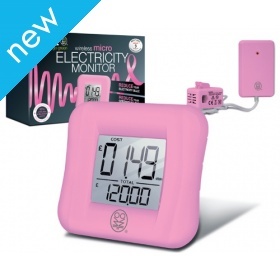 This wireless monitor helps fight climate change and, because 10% of the proceeds from every sale go to Breakthrough Breast Cancer, it helps fight breast cancer too. 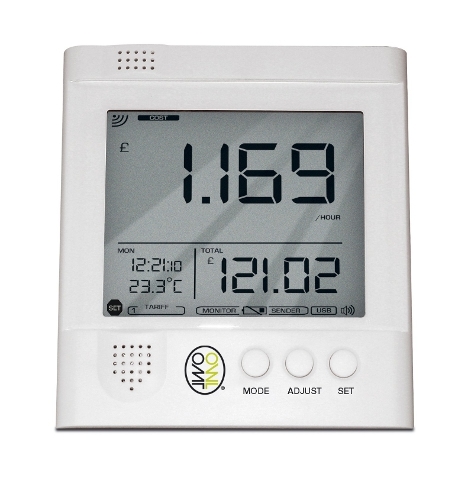 The wireless transmitter simply clips on to your electricity meter and transmits data to the monitor, which displays in real time the amount of energy you are using, both in terms of kilowatt hours (kWh) and in terms of pounds and pence, as well as keeping a cumulative total. Simply program the monitor with the pence per kWh you pay for your electricity (you’ll find this on your bill) and then see how much you can save just by turning appliances of standby, turning off lights when not needed etc. Ofgem, the independent energy regulator, estimates that this type of device can save home owners an average £125 per year. 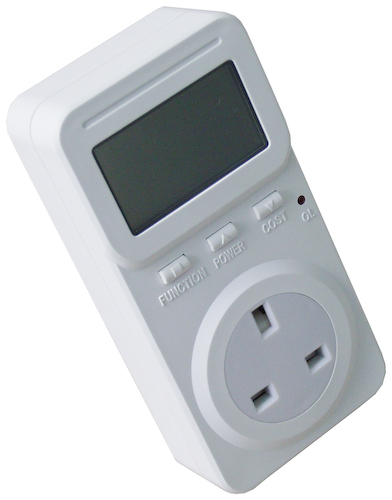 This is the “big brother” of the Owl Micro Energy Monitor and the latest in this popular line. In addition to displaying up to the second information on power usage and the cash cost of tat usage, it also tells you your real time carbon emissions. Even better, you can connect the monitor to your PC via a USB cable and download your data so you can track and compare your usage over time. Not only will this show you how much you are saving, it will help you identify areas that you need to improve. The wireless transmitter simply clips to your supply cable from your electricity meter and transmits data to your monitor from a distance of up to 30 metres (about 100 feet). When you want to download data to your computer, just plug in the monitor via the USB cable. You’ll need to find out the cost per kilowatt hour (kWh) that you pay for your electricity, from your bill. This full package OWL CM160 with USB Wireless Electricity Monitor Now with New Upload Facility will cost £34.99 from Amazon , according to Ofgem, about 1/3 of which you expect to save in a year as a result of using it! The ultimate in home energy monitors for the style conscious. Not only does the Wattson SilverLining have all the features of a high end home energy monitor, it really looks the part! You’ll want to show off its sleek, chic and very stylish design. As well as displaying energy usage on its digital display, it changed colour, from blue for low usage to a warning red for spikes of consumption. Simply clip the wireless sensor/transmitter to your supply cable and program the monitor with the price per kilowatt hour (kWh) you pay for your electricity, as detailed on your bill. 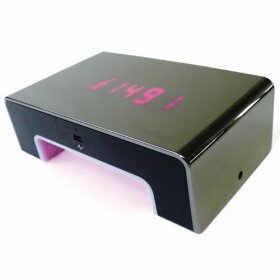 The monitor can store up to 4 weeks data, which can be downloaded to your PC or Mac via a USB cable at your leisure. You can even go online to see how your efforts and those of other Wattson users are contributing to the global battle against climate change. Style like this doesn’t come cheap and the Wattson SilverLining will set you back £129.95, but it could still pay for itself in one year with the energy you’ll save (according to figures supplied by Ofgem). Check out the Wattson SilverLining Home Energy Monitor here here. Also, Amazon now stock a full range of energy monitors, see here. Just want to point out our Silverlight interactive dashboard for displaying real time data collected from Current Cost clip on meters. Can see more info on our web site. By What is clever about Smart Meters? « What Effect Will Climate Change Have on the UK?